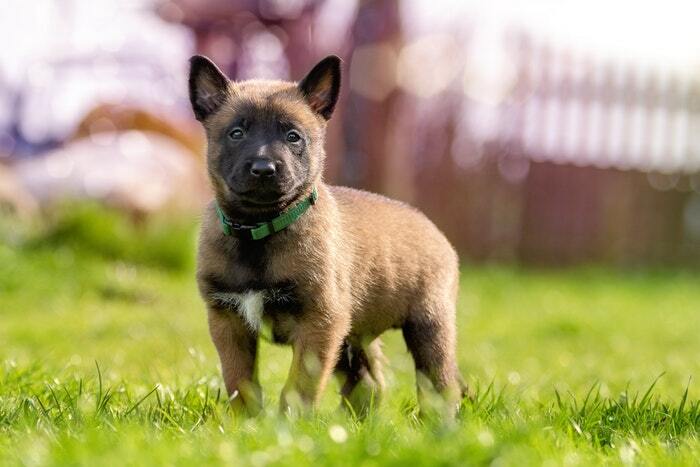 Fawn and Black Belgian Malinois Puppy on Green Grass. Via Pexels. Malinois dogs are working animals known for being used by the Secret Service to guard the White House. These dogs, a subtype of the Belgian Shepherd breed, are robust, with an average life expectancy of 10-12 years. But some puppies are afflicted by a genetic condition called spongy degeneration with cerebellar ataxia (SDCA). A puppy diagnosed with SDCA quickly loses all coordination and needs to be put down. In the August issue of G3, Mauri et al. report the genetic cause of one type of SDCA, a finding that will allow breeders to eliminate the problem from their lines. The group previously showed that there is more than one type of SDCA in Belgian Shepherds. They identified causal mutations in one gene, KCNJ10, but that gene didn’t account for all cases of SDCA. In their current study, they examined the genomes of several other affected puppies and found mutations in a gene called ATP1B2. Since this was a different gene than identified previously, they propose to call the new form of the disorder affecting these puppies SDCA2. ATP1B2 encodes a subunit of the enzyme Na+/K+-ATPase, a protein complex essential for maintaining ion gradients across the cell membrane. In guinea pigs, inhibiting the enzyme causes seizures and makes the brain take on a spongy appearance, similar to that found in dogs with SDCA. Mice without their version of ATP1B2 also have spongy brains and rapidly progressing motor disturbances. Although no ATP1B2 variants have been found in humans, mutations in genes encoding the other subunits of Na+/K+-ATPase cause neurological problems, such as certain types of migraines and a fast-onset form of Parkinsonism. The function of ATP1B2 is also similar to that of the gene that causes SDCA1. Both are involved in maintaining potassium homeostasis—especially in the cerebellum—further substantiating the conclusion that mutations in ATP1B2 are the cause of SDCA2. The evidence presented by Mauri et al. will enable development of genetic tests for both types of SDCA. Now that they’ve found that mutations in ATP1B2 cause SDCA2 in dogs, checking people with family histories of cerebellar disorders without known causes for problems with ATP1B2 might provide insight into previously inexplicable conditions. Mauri, N.; Kleiter, M.; Dietschi, E.; Leschnik, M.; Högler, S.; Wiedmer, M.; Dietrich, J.; Henke, D.; Steffen, F.; Schuller, S.; Gurtner, C.; Stokar-Regenscheit, N.; O’Toole, D.; Bilzer, T.; Herden, C.; Oevermann, A.; Jagannathan, B.; Leeb, T.
A SINE Insertion in ATP1B2 in Belgian Shepherd Dogs Affected by Spongy Degeneration with Cerebellar Ataxia (SDCA2). Congrats to the new GSA Career Development Symposia awardees!